From now until February 15, 2019, Canadians can enjoy savings of up to 40% on select vacation packages to top-rated resorts across the Caribbean, Mexico and Central America. Sunwing is encouraging winter-weary travellers to escape to the tropics and catch some rays with its Seize the Sun promotion. From now until February 15, 2019, Canadians can enjoy savings of up to 40% on select vacation packages to top-rated resorts across the Caribbean, Mexico and Central America. Those who take advantage of this time-limited sale could be among the first to experience at one of Cancun’s hottest new luxury resorts, Royalton Suites Cancun Resort and Spa. Newly opened this month, the property offers the All-In Luxury™ amenities and service that Royalton Luxury Resorts are famous for in a lively downtown setting. Guests can explore the shops and nightlife of Cancun’s Hotel Zone, just steps from the resort or take advantage unlimited, reservation-free dining across seven restaurants including Mexican cuisine at Agave and Hunter steakhouse. Vacationers who upgrade to Diamond Club™ can take advantage of complimentary access to the adults only rooftop pool and lounge, Skyclub, a first for Royalton Luxury Resorts, that hosts weekly themed pool parties. Travellers could also opt to escape to the perennially popular Riu Bambu in sunny Punta Cana. Situated on Arena Gorda Beach, this recently-renovated resort has now added brand-new rooms, two new pools plus Spanish and Caribbean restaurants to its broad range of amenities. In addition, guests can enjoy unlimited complimentary access to the on-site Splash Water Park and regular pool parties together with a host of exclusive RIU-topia perks including in-room liquor dispensers and mini bars, reservation-free specialty dining, spa credits and more. Luxury-seekers can also take advantage of fantastic deals at Sunwing favourite, Royalton White Sands Montego Bay in Jamaica. This family-friendly resort offers a range of elegant and spacious accommodation options, including rooms that sleep families of five or more and swim-out suite options. Vacationers will also appreciate the on-site water park, complimentary kids club, teen lounge and non-motorized water sports, on-site Jerk hut and nightly entertainment. 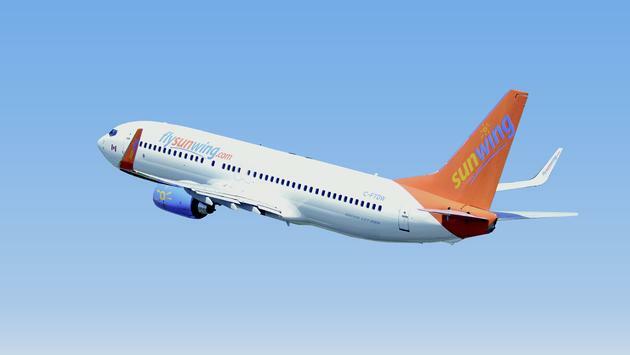 All Sunwing vacation packages include return flights on Sunwing Airlines where passengers can sit back and relax while on board, with award-winning inflight service, complimentary non-alcoholic beverage service and buy on board selection of snacks and light meals including the brand new Tex Mex Grilled Chicken Wrap inspired by Food Network Canada Celebrity Chef, Lynn Crawford. Passengers also benefit from a generous complimentary 23kg checked luggage allowance.